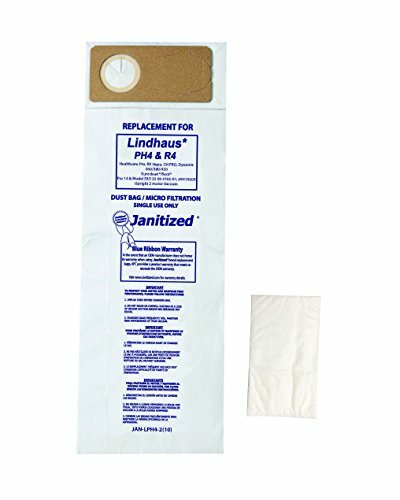 Janitized premium replacement commercial vacuum bags can be used for Euroclean Pro 14 and Model DU135 09 4105-01, 09410509, OEM #141299011, #141296200; Lindhaus Healthcare Pro, RX HEPA,CH Pro, Dynamic 300/380/ 450, OEM #PH4, #R4. In the event an OEM manufacturer does not honor its warranty when using Janitized brand replacement bags and/or filters, APC provides our blue ribbon warranty that meets or exceeds the OEM warranty. If you have any questions about this product by Janitized, contact us by completing and submitting the form below. If you are looking for a specif part number, please include it with your message.